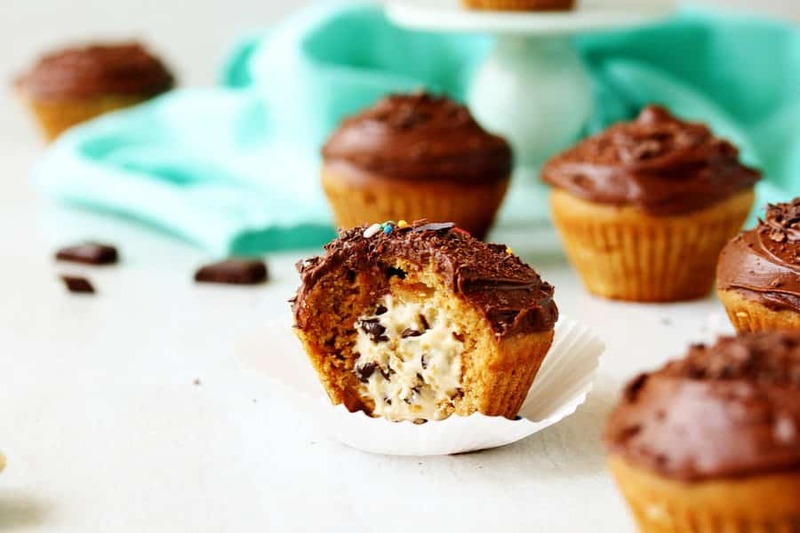 These dense and delicious cupcakes are filled with a surprise of sweet and creamy, healthy chocolate chip cookie dough! 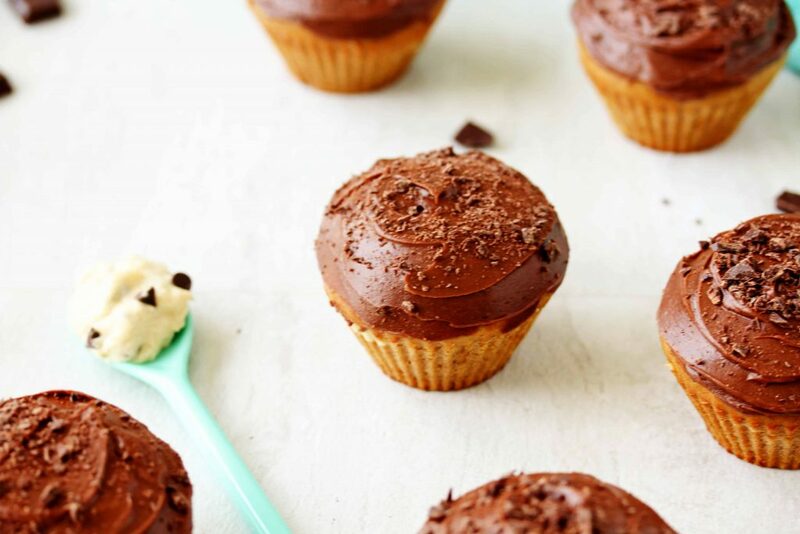 Topped with a high protein chocolate frosting, these healthy cookie dough stuffed cupcakes are mouth-wateringly good! Bust out the flip-flops, pull out your short shorts, and take out your tank tops because it’s summer time! 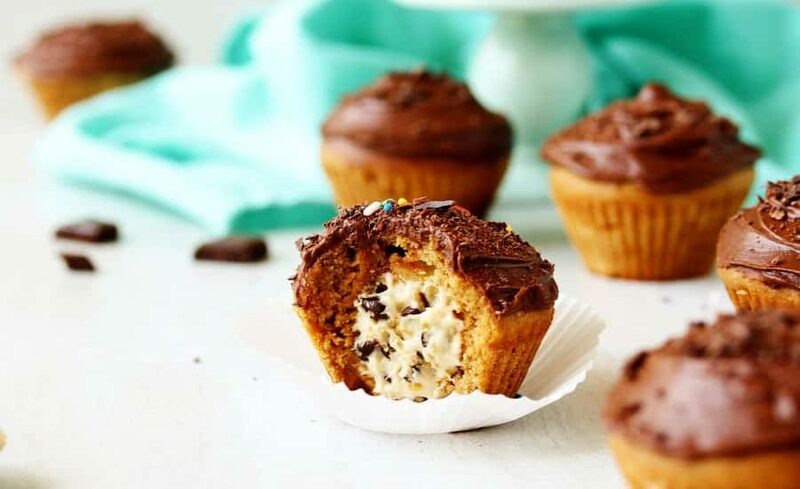 And as much as you hate the heat of the oven in the summer, you’re going to want to turn it on for these decadent and deceivingly healthy Cookie Dough Stuffed Cupcakes. So let’s talk about them! 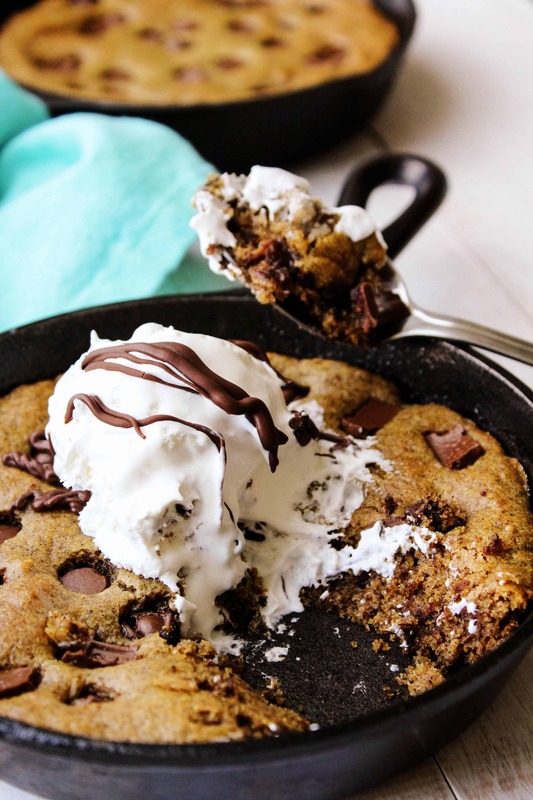 This cookie dough is a bit different from any of my other cookie dough recipes. 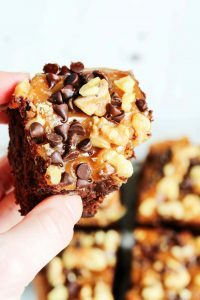 This one uses cashews as the main ingredient, while my edible eggless cookie dough, my “brookie” brownie cookie dough bars, and my no-bake chocolate chip cookie dough bars use protein powders, whole grain flours, or fruits. 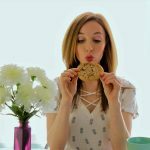 The cashews give the cookie dough a nice, neutral but slightly buttery flavor, and the rest of the ingredients help transform it to that traditional cookie dough taste. Plus cashews are full of vitamins, minerals, and good-for-you fats that will help keep you full and satisfied. 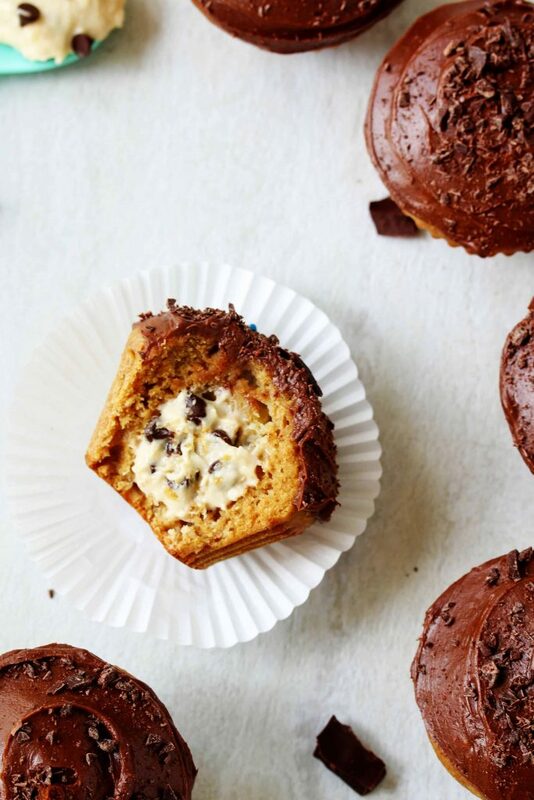 Technically, these treats are closer to a muffin than a cupcake because they’re more on the dense side than light and airy. But “cookie dough muffin” just doesn’t have the same ring to it, right!? You’re really not going to care what they’re called once you take a bite of them though. 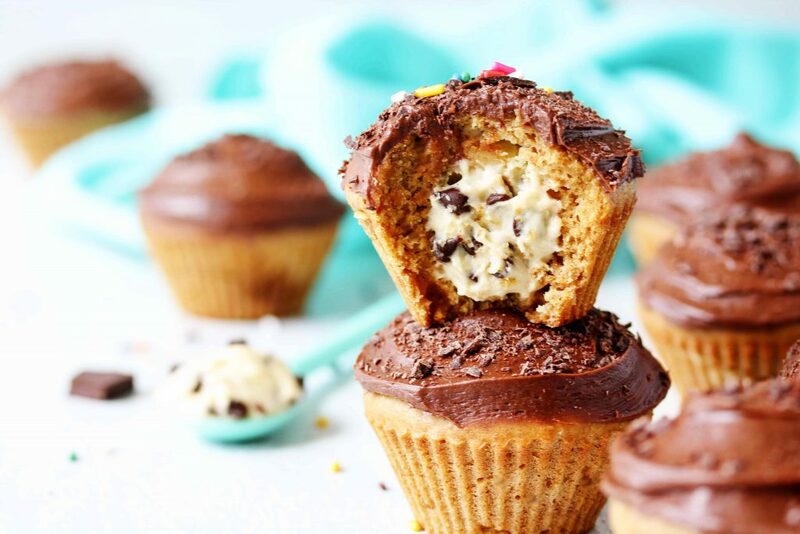 The cupcake/muffin (muffcake?? cuppin??) 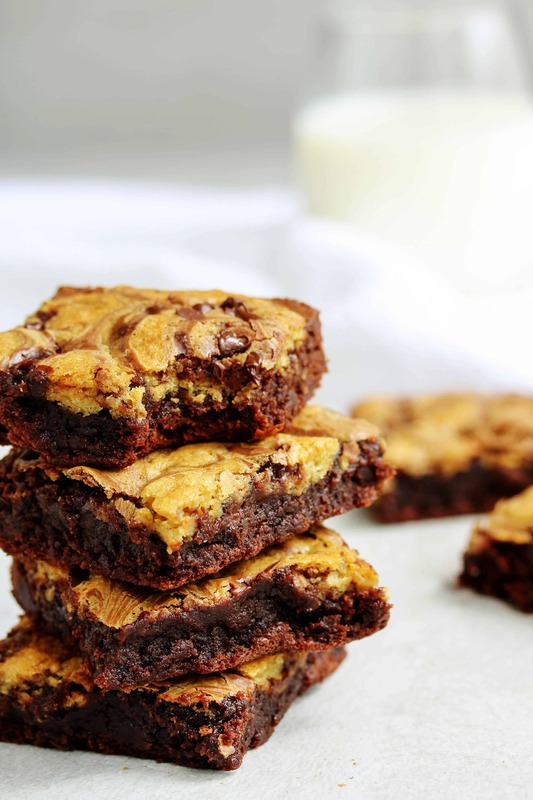 really needs to have that dense structure to hold in all that creamy cookie dough goodness. To get the cookie dough into the middle of the cupcakes, we have to form a nice little pocket for the cookie dough to go into. I found it easiest to use the back of a spoon to spread the dough up the sides of the muffin liners. Pro Tip: use silicone muffin liners. You can definitely make them with paper or parchment ones, but the silicone ones just hold their structure so well that is makes shaping the cupcake dough a breeze! 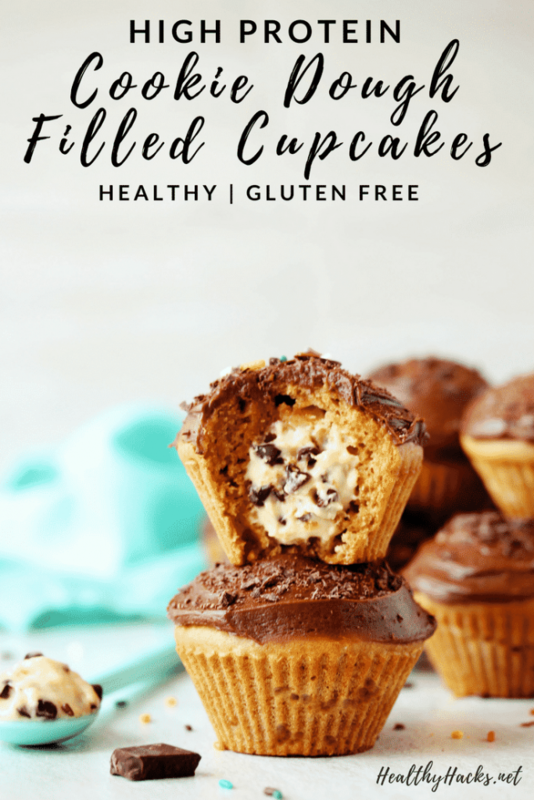 Another thing I love about these cupcakes is that they are packed with nutritious whole grains, healthy fats, and protein, and are practically free of refined flour and sugar! 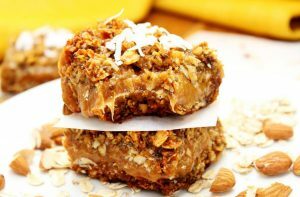 I used soy protein powder in them to get that protein boost. When I buy protein powder I always look for ones that don’t have any added sugars, fillers, or artificial ingredients. I haven’t tested it in these healthy cookie dough stuffed cupcakes, but usually any other plant-based protein powder could be swapped out for the soy if you wanted to. I’d recommend using rice protein since it doesn’t affect the flavor. But, it does have a bit of a grittier texture. I also find that pea and hemp protein can overpower the taste of the other ingredients, but if you like their flavor you could try those too! 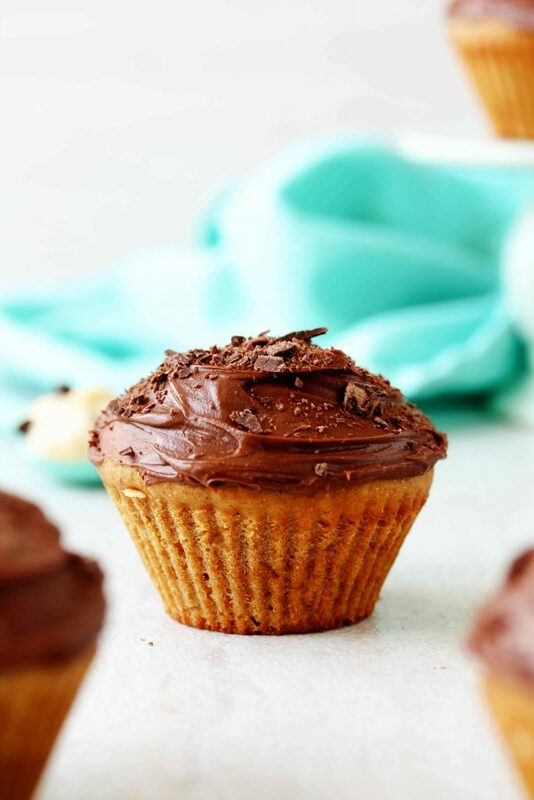 If you’re a frosting lover like me (and let’s be real…you probably wouldn’t be reading this if you weren’t…) you might want to make a double batch of this ultra creamy, high protein chocolate frosting so you can eat some by the spoonful and still have enough for the cupcakes! Making the chocolate frosting is super easy. 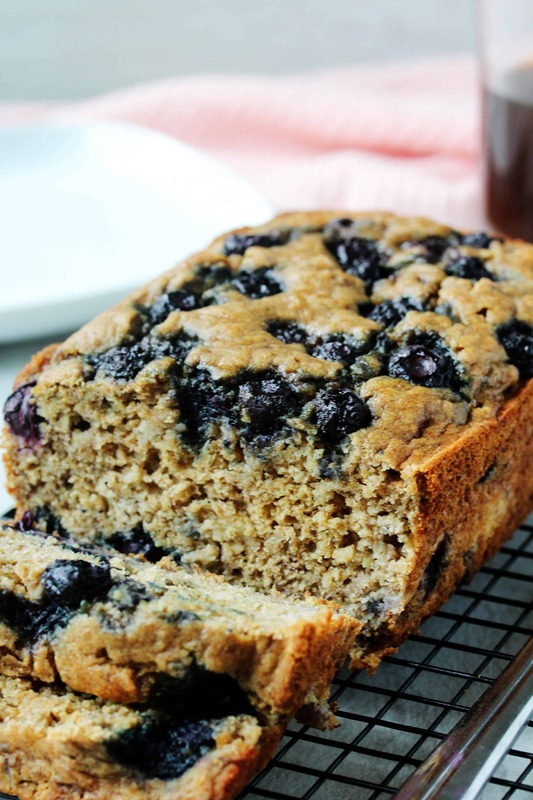 Just add all the ingredients to a bowl and use an electric hand mixer to combine. You can do it by hand, but make sure you haven’t done your arm workout for the day yet because you’re going to want to whisk it together for quite a bit to make sure there are no lumps and the frosting gets silky smooth. Last thing you want to do is bite into your decadent cupcakes and end up with a chunk of plain avocado (yes, avocado…just trust me!) in your mouth. Also, to save time, you could make the frosting and bake the cupcakes the day before you plan on eating/serving them. Just wait to frost them until you’re going to serve them. The frosting might separate a bit, so you’ll want to give it a quick stir before assembling. And if the frosting sits on the cupcakes for that long it could make them a bit soggy. Just keep them in an airtight container and store them in the fridge. 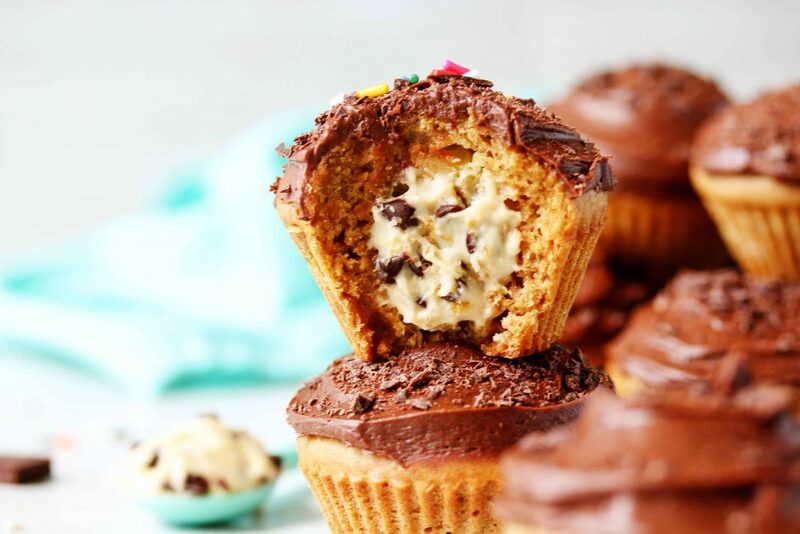 Who is excited for to try these healthy cookie dough stuffed cupcakes!? Got a friend’s b-day coming up? A summer BBQ? 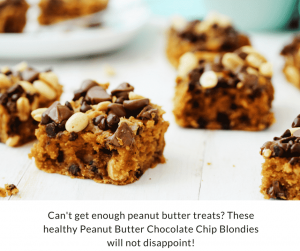 Let me know who/what you’re going to make these delicious treats for! 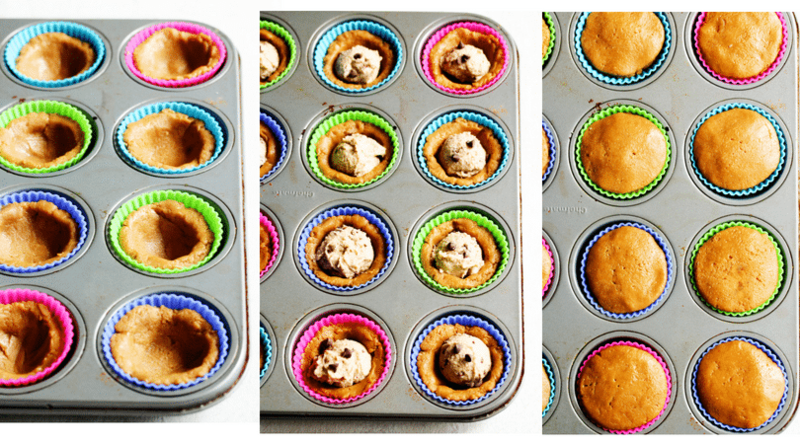 Preheat the oven to 350 F. Line a 12-cup muffin tin with muffin liners (preferably silicone ). 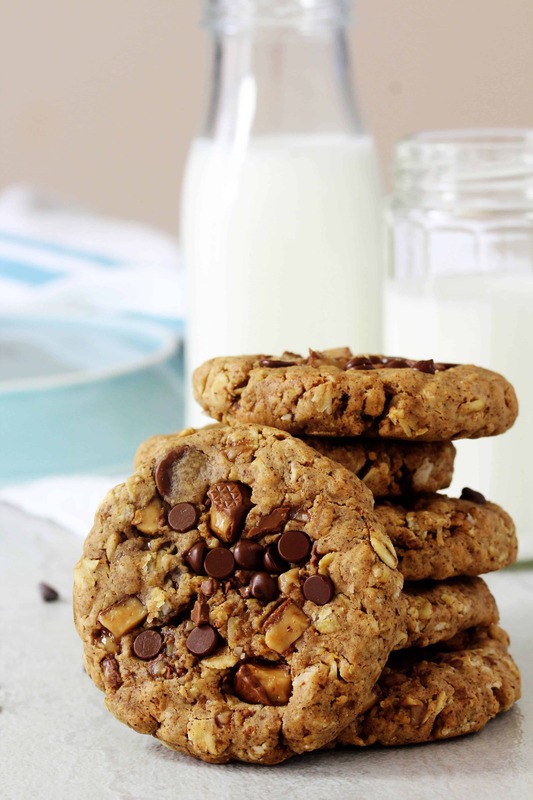 For the cookie dough, in a food processor or high speed blender, add the soft (soaked in water overnight is best) cashews, applesauce, sweeteners/sugars, cornstarch, butter, vanilla and almond extract, and salt. Blend until the mixture is smooth, about 3-5 minutes. 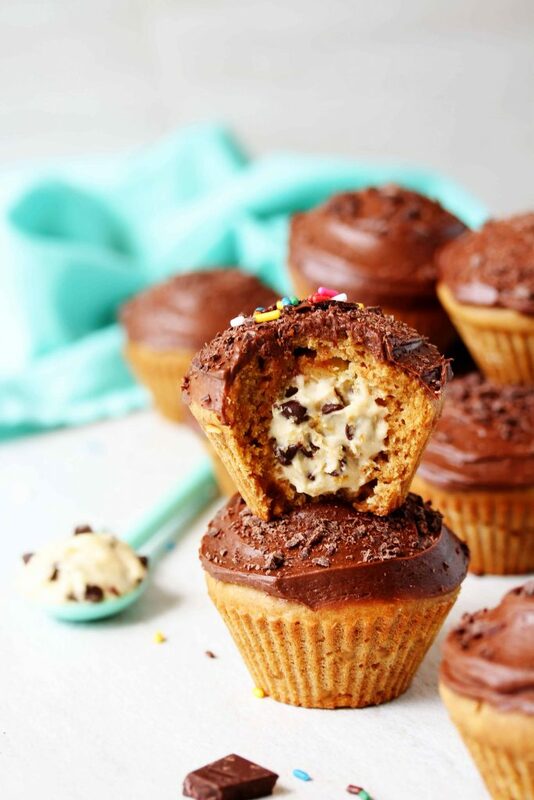 Fold in the mini chocolate chips and put in the fridge while you prepare the cupcake batter. 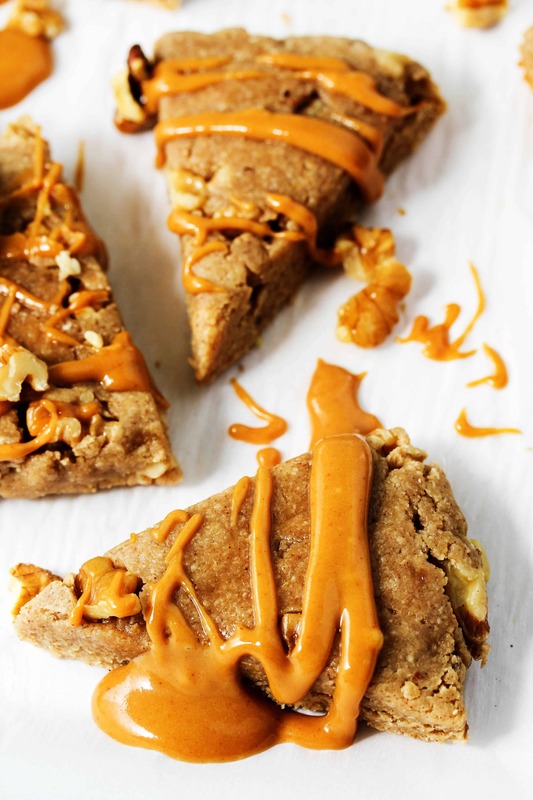 In a large bowl, add the almond butter, applesauce, maple syrup, molasses, eggs, and vanilla extract. Stir to combine. In a separate bowl, add the oat flour, protein powder, tapioca flour, baking powder and soda, and salt. Whisk together to combine. Add the dry ingredients to the wet and stir until all the lumps are gone. Add a spoonful of the batter into a muffin liner and, using the back of a spoon, spread the dough up the sides of the liner (*see pic above). 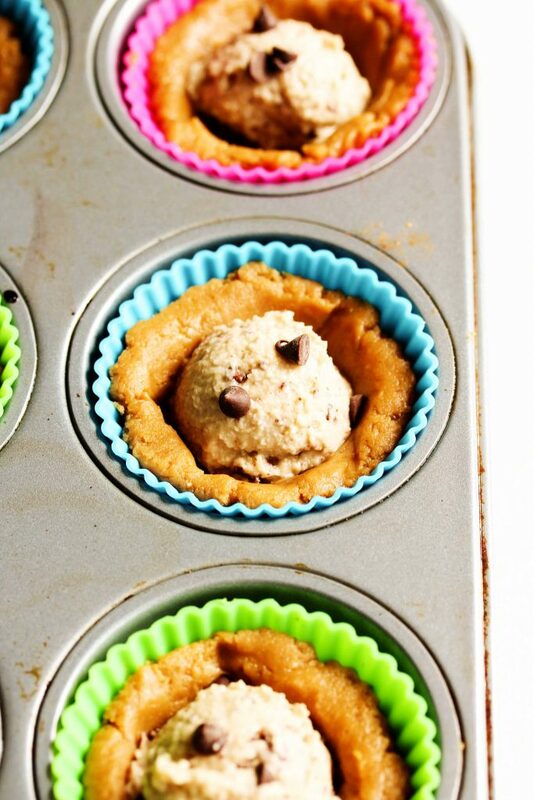 Add 1 Tbsp of the cookie dough into the cavity of the cupcake batter you created. Top it off with more of the cupcake batter until you fill the liner up to the top with batter. Smooth the top out with the back of the spoon or your fingers to remove any bumps. Bake for 15-18 minutes or until a toothpick inserted into the edge of the cupcakes (not through the cookie dough part) has 1-2 crumbs. Allow the cupcakes to cool in the pan for about 30 min. then transfer them to a wire rack to finish cooling. For the frosting, in a medium-sized bowl, add the tofu (don't press/squeeze out water from the tofu), sweetener, cocoa, avocado, and vanilla paste/extract. Make sure the cupcakes are completely cool before frosting. If you’re not serving the cupcakes right away, store them in the fridge unfrosted, and frost them right before serving. 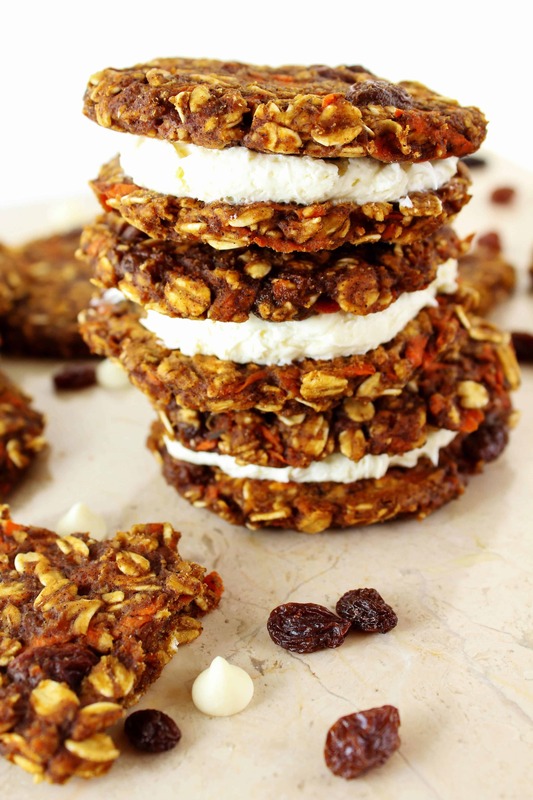 Enjoy this decadent and deceivingly healthy dessert!